Mackinac is a small island that was used to guard the straits between Lake Michigan and Lake Huron. The Island was very important during the War of 1812 and the nation's fur trading period. Today the island is a popular tourist attraction with a historic fort, several historic buildings and a national cemetery. There are no motorized vehicles on the island and all travel is done by foot, bicycle or horse drawn carriage. Each week, during the summer, fifty-six youth from a Boy Scout or Girl Scout Troop act as the Governor's Honor Guard. President Gerald Ford performed this duty when he was a Scout. 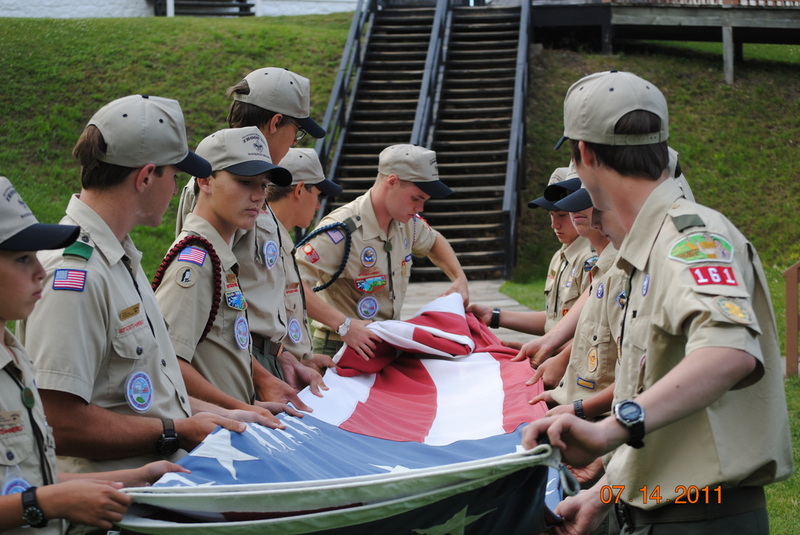 Duties consist of raising and lowering all the flags on the island and acting as guides at the historic buildings. Troop 623 has been proud to perform this duty for the last fifty years, only second to one other troop from Detroit. This year the Troop will be making its 53rd consecutive trip to Mackinac Island, making it one of the longest serving Troops in the state. The duties have increased over the years and the Mackinac Troop has expanded to include Scouts and Leaders from all over the S.W. Michigan Council, while still using the banner of host Troop 623. The prestigious trip has become one of the highlights of a Scout’s career. 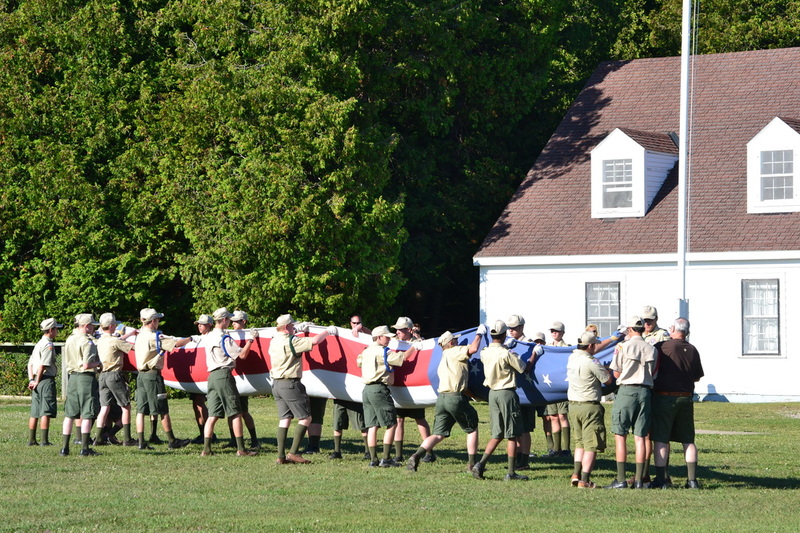 Hundreds of Scouts and Leaders hold fond memories of the experience at Mackinac. Our week long trip to Mackinac Island to serve as the Governor’s Honor Guard and Fort Mackinac Guides usually takes place during either of the first two weeks of July. Practices are May 1st and 22nd from 5-7 PM at the Whirlpool Administration Center on M-63 Benton Harbor. Class A uniforms are required and attendance is MANDATORY!! BSA Physicals are required and must be turned in. Packing list...click on the file below.